The story of Domaine Arlaud begins like many of the world's great stories do, with the love between a French man and woman. It was during WW2 that Joseph Arlaud (originally from the Ardèche) met and fell in love with a Burgundian woman by the name of Renée Amiot. Her family just happened to own a few choice parcels of land in the Côtes de Nuits, which included little vineyards by the name of Clos St. Denis and Bonnes Mares. 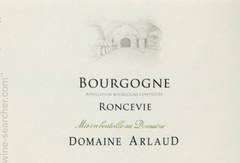 Part of the couple's wedding gifts included these parcels and so was born Domaine Arlaud. Joseph's son Hervé Arlaud took over the estate in 1982 and expanded the domaine with purchases of prime vineyards, mostly in their home village of Morey St. Denis. Today, the star of the show is Hevré's son Cyprien, who in the last ten years, has come into his own as one of the most exciting growers in all of France. Cyprien Arlaud took the reins of the domaine in 1997 with the simple and unwavering vision of making pure, benchmark Burgundy. He knew the only way to achieve this goal was to be forward thinking in the cellar, and most importantly in the vineyards. The same year he was put in charge, he began the conversion of the estate to biodynamics (certified in 2014). He also began using horses to plough domaine vineyards in order to keep the soils as healthy and alive as possible. With top holdings in Morey St. Denis, Chambolle-Musigny, Gevrey-Chambertin, and Vosne-Romanée, he immediately saw the difference in the health of the vines between those that were horse ploughed and those that were ploughed by tractor. As Cyprien notes, "It's hard to get good grapes from vines planted on a cement highway." Luckily for him, his sister Bertille has become one of the most important horse ploughers in all of France. With her two horses Nougat and Okapi, she ploughs every single vineyard herself, while also ploughing and training horses for many top estates across the country. The results from this intense care for the vines became evident very quickly, with wines that spoke of terroir in the clearest of voices. In the cellar, intervention is kept to an absolute minimum. Under Cyprien's stewardship, elegance has been the focus with lower levels of extraction and the reduction of new wood to zero on the Bourgogne and 15-30% on the rest of the lineup. Partial whole cluster is used on the upper level wines (maximum 30%), purely on the nature of the vintage and if the stems are perfectly ripe. The cellar in Morey St. Denis is one of the coldest in the Côtes de Nuits, helping Cyprien pursue a slow, non-interventionist vinification, with minimal use of SO2. All of his wines are also bottled unfined and unfiltered. Meeting Cyprien makes it clear how in touch he is with every meter of vines he farms. He is immensely talented, but also has an insatiable curiosity that allows him to keep learning and keep getting better. We are absolutely sure that his name, and the wines he is crafting today and in the future will go on to live in Burgundy lore.